We provide preventive care for all ages and life stages of animals. Routine examinations and proactive preventive care can enhance quality of life and help avoid illness and injury. 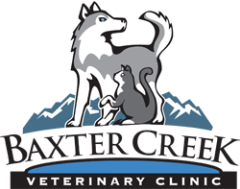 We offer tailored vaccine protocols for canine and feline patients. Our goal is to administer vaccinations at the lowest frequency, while providing adequate protection against infectious diseases. Antibody titer testing is available. Recommendations for heartworm prevention, as well as flea, tick, and GI parasite medications can be made based on your animal's individual risk for exposure. ​Nutrition is an extremely important aspect of an animal's overall health. Prescription diets are available at our clinic. Beyond prescription diets, our veterinarians can make recommendations for feeding based on the specific nutritional needs of your pet. By law, a rabies vaccine must be given by a veterinarian. In order to get your pet vaccinated for rabies, you will need to schedule an exam with a veterinarian. My cat is indoors only, does it still need a rabies vaccine? The only vaccine required by law is the rabies vaccine. Our doctors can recommend ​other appropriate vaccines based on your pet's health and lifestyle.